Want to do something big, or unsure if you should go after something big? You need this book. It is also an excellent book on simply being a better person. I think anyone would be improved immensely from reading it. 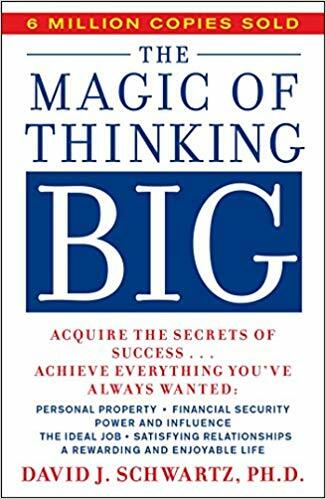 This is a book on thinking big. The premise is that most people go through life with small amibitions, small goals, thinking small, and they only rise to the size of their dreams. But by thinking big, what’s now called “10x” thinking, you can do great, huge things, so long as you believe in yourself and follow through on the pursuit of those huge goals. If you want something done quickly, give it to a busy person. Do not let them escape, write them down! Take action to conquer fear!! You must form an image now of who you want to be in 10 years. Visualize your future in terms of work, home, and social. Where do you want it to be?